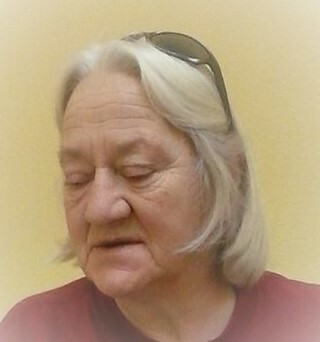 Patricia Jo McCrystal, age 67, of Ward passed away on April 8, 2019. She was born on April 8, 1952 in Lamental, Arkansas to the late Hubert C. and Edith Marie Valentine. She was a wonderful mother, wife, sister, aunt, cousin, sister-in-law and friend. She leaves behind her loving husband Tony McCrystal of Ward, Arkansas; son Harley Joe McCrystal; sister Peggy Tillery of Alabama; brothers Dale Valentine and Frank Valentine of Fennville, Michigan as well as a host of nieces, nephews, cousins, families and friends. Visitation will be on Wednesday, April 10, 2019 from 6:00 P.M. until 7:00 P.M. at A Natural State Funeral Service, 2620 West Main Street, Jacksonville, Arkansas, 72076. Graveside services will be on Thursday, April 11, 2019 at 11:00 A.M. at Short Cemetery, in Butlerville, Arkansas. ” Aunts have no wands or wings, so they work with wisdom,love,and things.